I bought these to items today and I am looking forward to using them. I saw this mentioned in a scrapbook magazine a while back but I had forgot all about it,until it caught my eye today. It transfers images onto fabric!! Wow- how cool. I bought the white fabric paint too as this means I can paint it onto dark colour fabrics then use the image transfer on that, so it means I don’t always have to use it on light coloured fabrics. 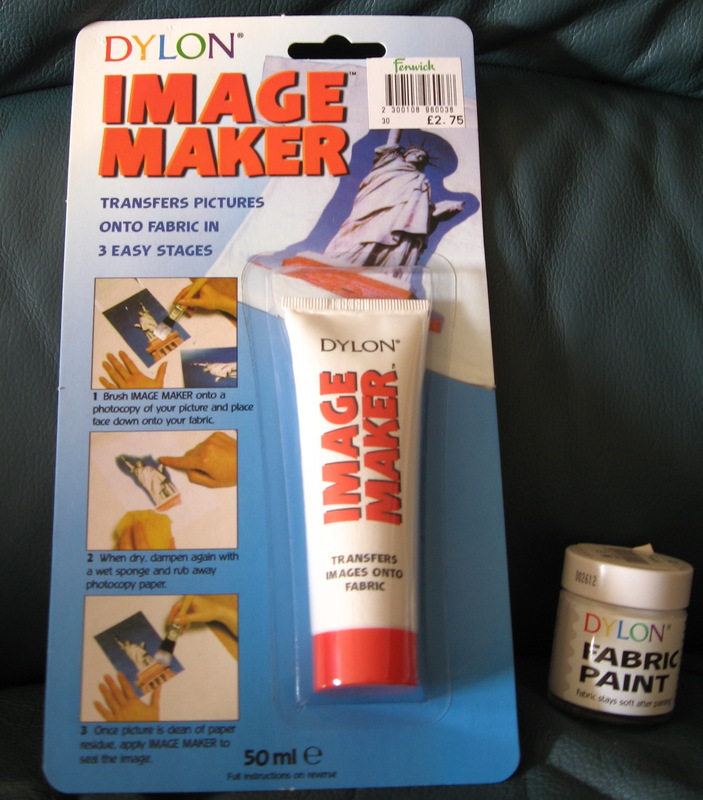 The image transfer cream cost £2.75($3.99 ) and the fabric paint was £1.99 ($2.89). I cannot wait to use it on something. I will keep you posted on my fun with these products. A day without scrapbooking is a day without sunshine! Welcome to my blog, it is about scrapbooking for the most part but will at times include different craft related items such as mini books, atc, inchies, collaged items,etc. Hope you enjoy. I am hoping to update it every few days and will be uploading photos of my work and those of others who wish to have their work published on this blog.